The hotly anticipated new venture from ex-manager of the award-winning Darts Farm Restaurant in Topsham, Souhela Berry and husband Mark is arriving in Dawlish. Having been at the helm of Darts Farm restaurant for 16 years, previous to that running a string of successful central London eateries, this is Souhelas first independent venture. 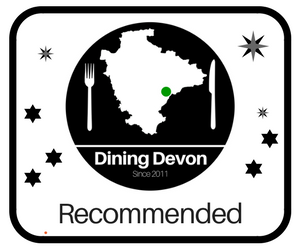 Situated in the heart of Dawlish, Le Cygne is a cosy spot, perfectly placed overlooking the bustling green where the famous Dawlish Black Swan frequents and is just a stones throw away from the seafront and train station. With inspiration from Melbournes trendy cafes, French sophistication and of course, the abundant high-quality produce and producers the West Country has to offer, Le Cygne is bringing something fresh and exciting to the Devon coffee scene. The menu features an extensive and creative breakfast menu. The speciality buttermilk waffles being a main focus of that, with five different flavour options. As well as baked eggs and a number of variations on the old favourite, Eggs Benedict. There are also Breakfast Boards to choose from, perfect if you fancy a little bit of everything! The lunch menu showcases Westcountry produce, the excellent cheeses, meats, bread and vegetables are showcased in the inventive salads, hearty sandwiches and toasties, charcuterie boards and fish dishes. Gluten Free and Vegan options are available. Gluten free slices and cakes are supplied by Kays Cakes, made locally in Dawlish itself. 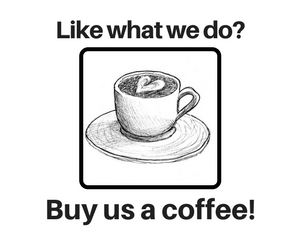 Coffee is supplied by Owens Coffee Roasters. Organic and Fairtrade certified and blended and roasted in Devon. There is an extensive coffee menu and well as speciality options of Chai and Matcha Lattes. Soya Milk and Syrups are also on the menu. Cold drinks from Luscombe, Folkington Juices and Bottlegreen are on offer. Healthy homemade smoothies and indulgent milkshakes are sure to be hit. The Chocolate Oreo Milkshake and Toffee Donut Shake are early favourites! Daily offerings of cakes, slices, scones and pastries will also be available.